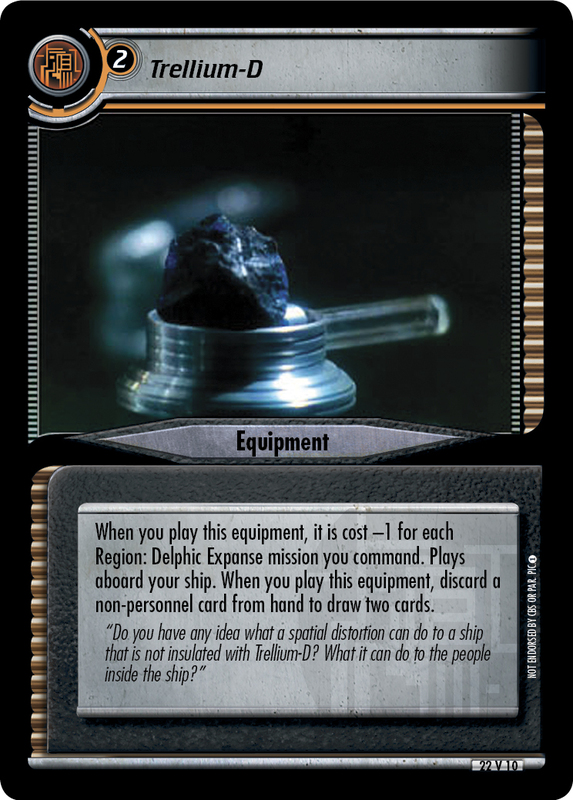 When you play this equipment, it is cost -1 for each Region: Delphic Expanse mission you command. 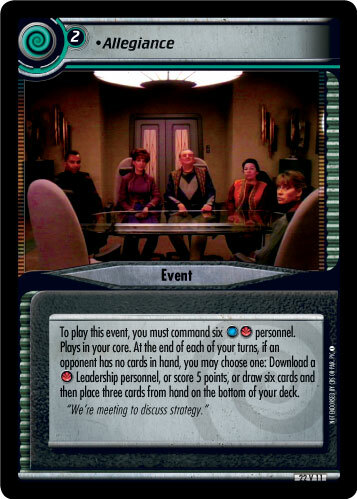 Plays aboard your ship. When you play this equipment, discard a non-personnel card from hand to draw two cards. 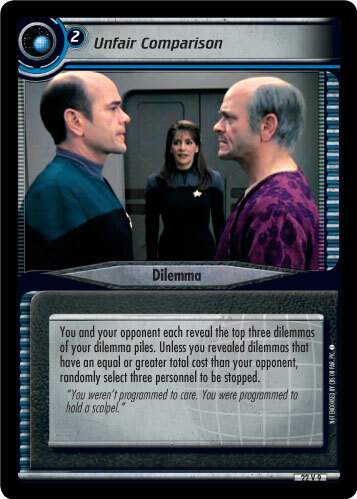 "Do you have any idea what a spatial distortion can do to a ship that is not insulated with Trellium-D? What it can do to the people inside the ship?"